The Gloomy Dean: The Thought of William Ralph Inge. Winston-Salem: John F. Blair, 1962. Christian Mysticism Considered in Eight Lectures Delivered before the University of Oxford. Light, Life and Love: Selections from the German Mystics of the Middle Ages. Truth and Falsehood in Religion: Six Lectures Delivered at Cambridge to Undergraduates in the Lent Term. Death the Fulfilment of Life: A Sermon Preached before the University of Cambridge on March 3, 1907. Personal Idealism and Mysticism: The Paddock Lectures for 1906. Speculum Animae: Four Devotional Addresses Given in the Chapel of Corpus Christi college, Cambridge, to Public-school Masters and College Tutors, on Jan. 14 and 15, 1911. London and New York: Longmans, Green, 1911. Authority and the Inner Light. Liverpool: The Church Press, 1912. The Church and the Age. The Religious Philosophy of Plotinus and Some Modern Philosophies of Religion. The Victorian Age: The Rede Lecture. Industry, Society, and the Church. New York: National Association of Manufacturers of the United States of America, 1925. New York and London: G.P. Putnam's Sons, 1926. 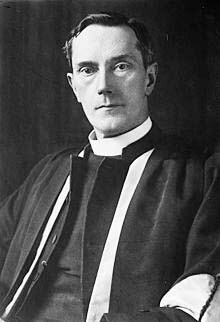 The Platonic Tradition in English Religious Thought: The Hulsean Lectures at Cambridge, 1925-1926. New York: Longmans, Green, 1926. Science and the Ultimate Truth. London and New York: Longmans, Green, 1926. Sermon in the Cathedral of St-Pierre, Genève, at the Opening of the Assembly of the League of Nations, Sept. 2. 1928. Christian Ethics and Modern Problems. New York and London: G.P. Putnam's Sons, 1930. The Social Teaching of the Church. More Lay Thoughts of a Dean. New York and London: G.P. Putnam's Sons, 1931. The New Twilight of the Gods: An Inaugural Lecture Delivered for the Session 1931-2 at the University College of Wales, Aberystwyth, 21st October, 1931. London and New York: Longmans, Green and Co., 1932. London: Oxford University Press, 1933. London and New York: Longmans, Green and Co., 1933. Things New and Old: Sermons and Addresses in Great St. Mary's, Cambridge, January 28th to February 5th, 1933. The Bible and the Modern Man. London and New York: Longmans, Green and Co., 1934. London and New York: Longmans, Green and Co., 1935. London: Eyre and Spottiswoode, 1938. The Fall of the Idols. London: Society of Individualists and National League for Freedom, 1945. London: Society of Individualists and National League for Freedom, 1946. The Faith of Saint Paul: A Lecture Delivered on the Charles Gore Memorial Foundation on 15 November 1951 in Westminster Abbey. London: Society for Promoting Christian Knowledge, 1951.